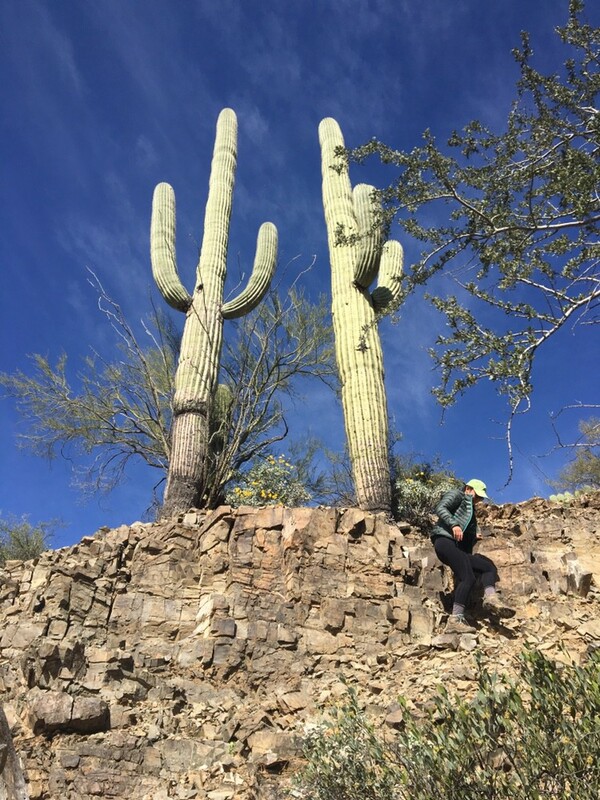 The beauty of Saguaro National Park might be the simplest form of beauty in the National Park system. 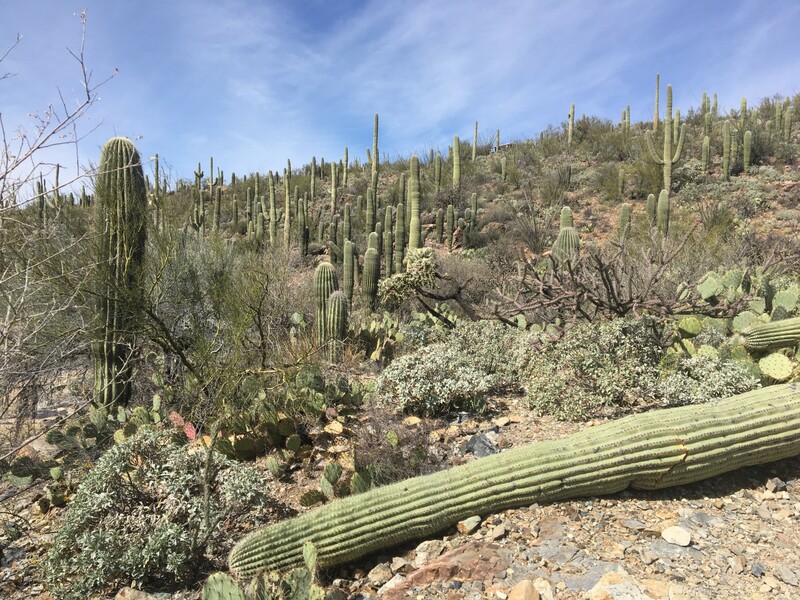 There are no grand landscapes: no glacier lakes backed by snowy peaks, no redwoods towering towards the sky — only the desert hills and the humble Saguaro cactuses which cover them. You first see them from a distance. From afar, their light green trunks blend into the subdued colors of the desert. Somewhat faint but much visible, they dot the hills, spread out in orderly fashion, as if to demonstrate the respect and cooperation required to survive in scarcity. You get a closer look as you make your way through the hills. Each Saguaro is unique. They start by growing a single vertical trunk, forming arms as they get older. Growing in all different directions and formations, these arms sometimes give the cactus a rather anthropomorphic appearance. Loosen your imagination a tiny bit and these arms turn into ones raised joyously in response to the pizza arriving at the door. I found comfort in these stories, in their silliness and familiarity. I found comfort in their infinite possibilities waiting to be told. I found comfort in the fact that Saguaros don’t just exist in this desert — they thrive. They’re everywhere, so much so that the area is nicknamed a cacti forest. They‘re there when you drive up a hill in late afternoon, hoping to catch the sunset. It’s dull at first. But then the sun dips beneath the clouds, and the sky begins to transform, turning orange, yellow, red. The simple slopes of the desert hills darken first, followed by the two Saguaros in front of you. One is young and tall, the other old and curious, with its five arms shaped like a palm, cradling the last of the remaining light. I lied. 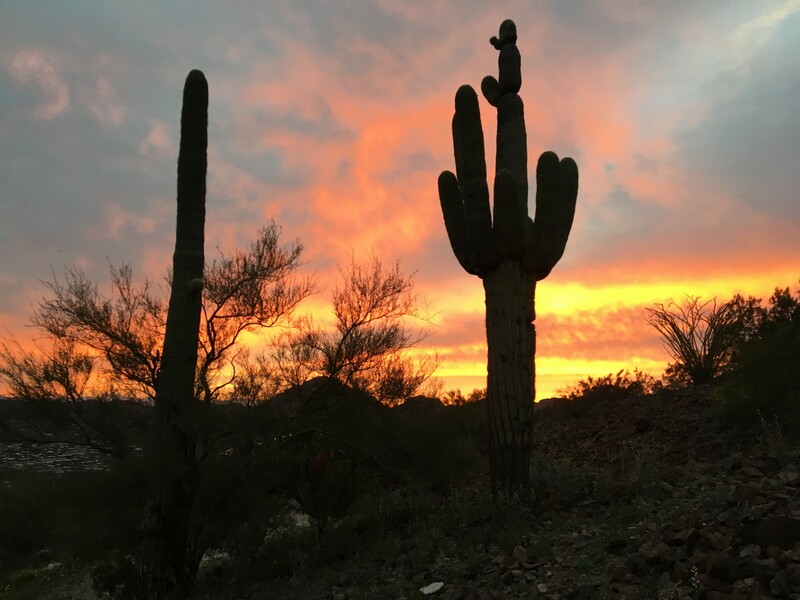 The simple beauty of Saguaro National Park is more than enough to be grand.